Find Duplicates BEFORE You Save! Instead of waiting until after you enter a new record's information to know if it's a duplicate, know after the first field if you're working on a duplicate. Say NO to redundant data! Improve your SugarCRM data quality by being prompted of duplicate values while creating new records. 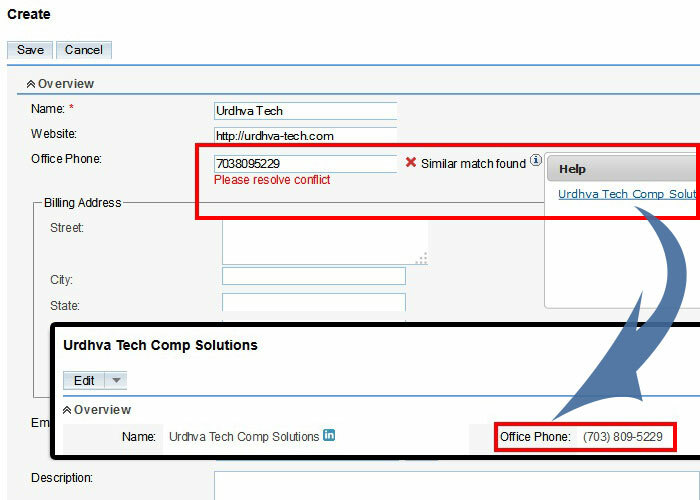 Duplicate Detector for SugarCRM works on any existing or custom field of type varchar, name or phone. 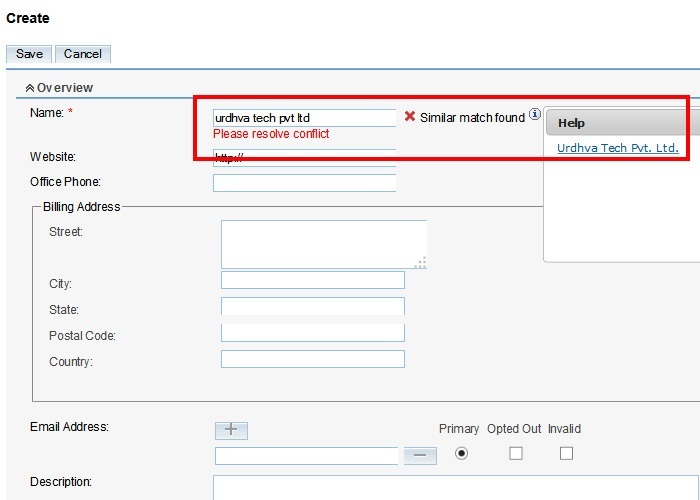 It prompts the user if the value has already been used while they are creating records in the edit view or quick create mode. It can be configured to prevent record from being saved or only popup notification prompting duplication. "Really helps us prevent duplicates on very important fields used by diverse stakeholder groups. Great job and very quick support." Duplicate and messy data is no longer your problem. Easy to configure rules for detecting and resolving duplicate data in your SugarCRM. Now your sales and marketing team will always be using the correct leads and contacts. Easily improve your Sugar data quality by applying mask patterns to Sugar fields. From phone numbers to dates to credit card numbers and more, help your users consistently entire data.